Coffee on Toast for Breakfast? Aloha Members! Today, I had a very unusual farm tour. The two lead lawyers on the Kona coffee counterfeiting lawsuit (very slow to download) dropped in to have a conversation. Paul and Nathan, from the law firm of Karr Tuttle Campbell, patiently answered my dozens of questions. I’m going to relay some of the answers here, and they promised to get back to KCFA soon, with a list of FAQS as well. I am not a named plaintiff in this suit, but because it is a class action, ultimately, we are all plaintiffs. Should they win or settle the case against the defendants, we all will have the option to opt in to the lawsuit. They feel their case is very strong, and the science is indisputable. The lawsuit targeted only those roasters who showed almost zero probability of any Kona in the bag. In other words, blenders are not on trial. Only 100% counterfeit coffee. Under the Lanham Act, there will be three “buckets’ of money. The first bucket will be damages, where the defendants must return the profits that were illicitly made. The second bucket is the lost profits to the farmers through harm to our brand by consumers drinking bad coffee. The third bucket is a requirement to post corrective advertising on behalf of Kona farmers to restore our brand name. This is a simplified version of the buckets, of course, and there will be economists brought in to determine how any money would be shared amongst the growers, if that point is reached. I’ve heard some comments in the community about how this lawsuit could crash the market value for Kona. It is more likely that: our very small 100%-real crop could suddenly see skyrocketing demand. Time will tell. What I do believe is that our coffee industry needs to find a way to certify to the honest brokers that our product is real. It’s time to look at alternatives to the “old way” of certifying coffee through the HDOA. We need farmer-to-consumer traceability throughout the supply chain. India is moving this way, through blockchain verification and a digital marketplace that growers control (see below). So is Montana grass-fed beef. Perhaps it’s some other third-party certification method. Regardless, as an industry, we need to change the dynamic or risk repeating this lawsuit yet again in a few years. This technology has important benefits for coffee producers and coffee buyers. On Kona makai farms, it’s likely been 90 days or more since the first flowering. If you were “lucky” enough to get the October random flowering event, then you may also have semi-mature beans on the trees. Now is the time to walk out into your farm and see if CBB are present in your beans. Remember, effective management can be had with a minimum amount of effort. While there are many activities that could burn your time and money, it all comes down to two key items: proper sanitation (post-harvest stripping)Timing of Beauveria (Botanigard/Mycotrol) sprays. For the first sprays, scientists at PBARC recommend early back-to-back knockdown sprays within a couple of weeks of each other. This should greatly reduce the population of live beetle in your trees. Going forward, you should be looking at your trees on a regular basis to determine if you have heavy or light levels of CBB in the A/B position. Focus your sprays between now and August 1, when most CBB have moved into the C/D position and cannot be killed. More is always not better! With effective sanitation and regular monitoring of beetle positioning, it’s possible to spray four times or less while maintaining single-digit infestation levels. HB144—51% Minimum and Origin Identification for Blends. This bill was drafted by Rep. Richard Creagan at the request of KCFA and introduced by 15 House members. The bill was favorably passed by 2 House committees and the full House, then sent to the Senate. However, here is what happened in the Senate Agriculture & Environment Committee: HB144 was GUTTED AND REPLACED with a 3-year delay for a “study” and “task force review”. Just what the Blenders wanted. The Senate’s “delay” bill next went to a second hearing on April 2 before the Senate CPH and WAM Committees. 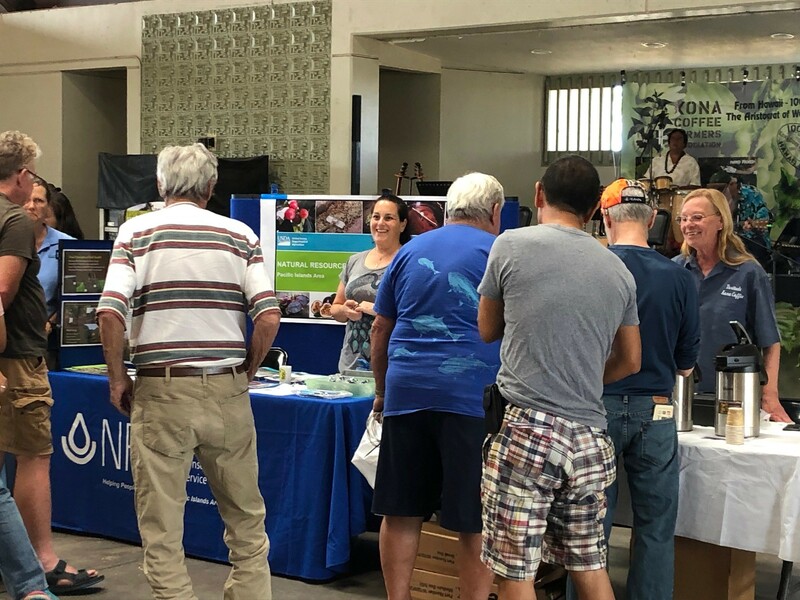 The overwhelming number of written testimonies for the April 2 hearing–from KCFA members, Kona coffee supporters, consumer advocate groups and others–asked the Committees to remove the “3-year delay” provision and to restore the House’s 51% minimum requirement. The Senate committee, however, declined to restore the 51% provision and killed the bill by voting for a deferral. This year, coffee labeling reform made it farther through the Legislature than ever before. We will be back next year. HB143—Disclosure of Percentages in Ready-To-Drink Coffee Products. This bill was introduced at KCFA’s request to address the fact that some RTD marketers are using Hawaii origin names (“Hawaiian Kona Premium Coffee” and “Kona Red Kona Blend”) without disclosing how much, if any, of the coffee in the package is from Hawaii-grown beans. The bill was favorably passed by the House Agriculture Committee, but died when the House Consumer Protection & Commerce Committee failed to schedule a hearing. This bill makes it a crime to falsely label Hawaii-grown roasted coffee with regard to geographic origin—for example, if the label says 100% Kona, the package must contain 100% Kona-grown coffee. SB895 has passed through the Senate and one House committee and has been assigned to the CPC/ JUD Committees for further consideration. This bill was introduced by the Hawaii Coffee Association. It was amended and then passed by the Senate Agriculture & Environment Committee, but died when the Senate CPH Committee refused to give the bill a hearing. Thank you to everyone for making this year’s KCFA coffee EXPO a success. We had almost 400 people learn about coffee, participate in workshops and contests, and enjoy great music. It takes many volunteer hours and hard work to make this event a success. Most of all it takes great people. Mahalo everyone and we hope to see you next year. We would like to thank our sponsors the County and State of Hawai’i, Community Federal Credit Union, Hala Tree, and Ashe Industries. Thanks to the many vendors who were there to answer questions and provide valuable information. They included Hawaii Community Federal Credit Union, Big Island Invasive Species Committee, Tallus Capital Advisors, UH-CTHAR Extension Cooperative, CBB Subsidy Program HDOA, West Hawaii Small Business Development Center, West Hawaii Master Gardener Association, USDA Natural Resources Conversation Services, Norwex, Pacific Blue Catchment, USDA Farm Services Agency, ASHE Industries LLC, Complete Art Service Hawaii, The Ant Lab, The Kohala Center, Pacific Coffee Research, Kona Soil & Water Conservation District, Nutrien Ag Solutions, Copy Post Plus, Kona Red/Bay View Farm, Made in the Shade Hawaii, Funny Girl Arts, Captain Cook Trading Co., Simplot Partners, and FarmWorks Hawaii. MILAN – Drone technology could help prevent the spread of the coffee rust, one of the most devastating fungal diseases for the plant that can wipe out vast swathes of crops or even entire plantations. A team of UK scientists are testing this technology in the coffee growing areas of Thailand. Following the Boston Tea Party (December 16, 1773) many Americans considered tea drinking to be unpatriotic. Tea drinking declined during and after the Revolution, with the result being a shift to coffee as Americans’ preferred hot drink. See Wikipedia entry for the Boston Tea Party. KCFA members are invited to attend KCFA Board of Directors meetings as observers. The meetings usually last an hour and a half, or less—and will provide a chance to learn more about the activities of your hard-working Association. Afterwards you will have a chance to meet and speak with Board members. The next Board meeting is Monday, April 15, 2:30 pm at Yano Hall, 82-6156 Mamalahoa Highway in Captain Cook—across from the Manago Hotel. 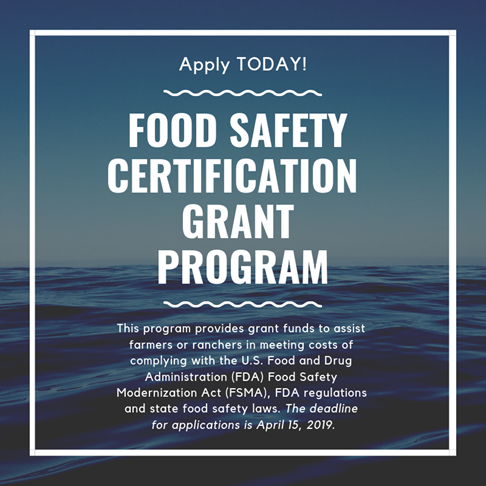 The Hawaii Department of Agriculture has funds available to provide assistance to farmers or ranchers in meeting costs of complying with the U.S. Food and Drug Administration (FDA) Food Safety Modernization Act (FSMA), FDA regulations and state food safety laws. Applicants may be eligible to receive a maximum of up to $5,000 of funding, issued on a pro‐rata basis. We believe that it would be very advantageous for farmers and ranchers to apply! For more information on this opportunity or to apply please visit the link here. Also, feel free to call or email me for any additional information. Have a great day! HPEC is presenting an export seminar. 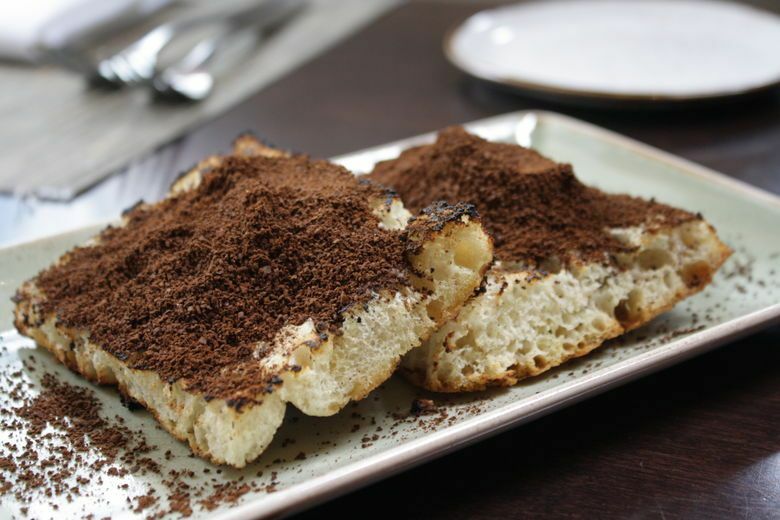 Culinary Trends:Coffee Grounds on Toast – move over avocado toast, 66 percent of the trendiest chefs note that spreading raw third wave coffee grounds on toast will be the next millennial obsession. Please support our KCFA business members!